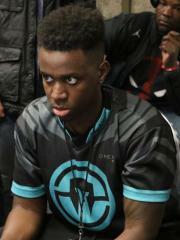 Jason "ANTi" Bates is an American competitive Smash player. At this time, ANTi is ranked #2751 in highest overall earnings, and #559 in highest earnings for players from United States. ANTi had won $2,954.25 in cash prizes from 21 tournaments before he turn 18 years old. 9.62% of his total prize money was earned before March 11, 2012. Out of the 89 tournaments awarding cash prizes that ANTi had competed in, the largest amount was $5,436.00 from CEO 2016 (SSB4 Singles) on June 26, 2016. His 1st place finish makes up 17.70% of his total prize money won. In the last 90 days, ANTi has been awarded $400.00 in prize money from a single tournament, none of which came in the last month.